Here is a fun pack for your frog loving kids! 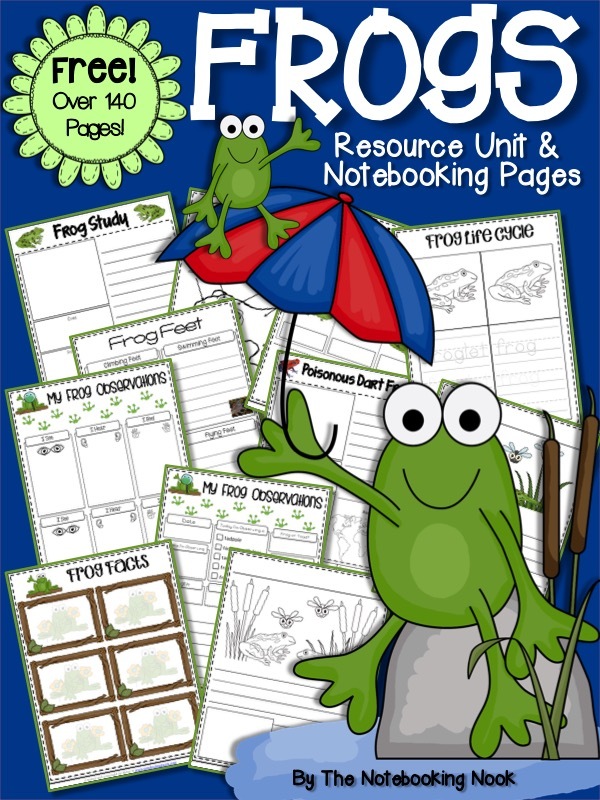 In these FREE Frog unit and notebooking pages you’ll find lots of links, videos and activities that will guide you and your children on a fun learning adventure about frogs and toads! At the end of this unit, there is a list of books and apps that may assist you during this study. You will also find lots of free notebooking pages. This is my affiliate link which helps support the work of this site. Get more free notebooking pages at NotebookingPages.com! Click here for more free Notebooking Pages featured on FHD!